Scott is the Director of Education and Development for Mid Penn Bank and Corporate Faculty with Harrisburg University. With over 10 years of experience in the learning and development field with a focus in banking, Scott has designed and delivered classroom training, synchronous online learning, and eLearning. He currently teaches two classes at Harrisburg University for the LTMS Masters program: Instructional Design and Learning Technologies. Scott is an active member of National ATD. He holds a bachelor's degree in HRIM from Penn State and a Master of Science in Learning Technologies from Harrisburg University. Position Summary: The Past President assists the President in providing leadership and direction to the Chapter, focusing resources on the issues that fulfill the Chapter mission and annual plan. The Past President ensures ongoing attention is paid to the Chapter's budget and strategic plan, ensuring that relevant goals are established, budgeted, acted upon and reviewed. Experience with the various components of the Chapter in a recent Board position. Selena is a Certified Professional in Learning and Performance with over 20 years of experience educating employees in the pharmaceutical, medical device, and healthcare industries. She is a highly versatile Training Manager with experience as a strong leader. She is recognized as a supervisor with demonstrated leadership skills including the development of effective teams. Selena is active in the National ATD through participation on the Excellence in Practice and the Best Awards as a Reviewer. She was also and a member of the Program Advisory Committee 2016 and 2017 International Conference and Exposition. 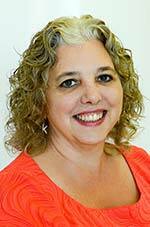 She has a Biology degree from Mansfield University and a Master of Learning Technologies from Harrisburg University. Position Summary: The President Elect, an elected and voting member of the Board, assumes the duties of the President in the President's absence or when the President is no longer able to serve as Chapter President. This Chair oversees various administrative tasks of the Chapter. Attends all Chapter Board meetings and chairs the meetings in the President's absence. Attends as many programs and program development activities as possible. Completes the annual Chapter CORE, a report giving an update and status of Chapter requirements and activities for the past year to ATD National office. Familiarizes himself/herself with the activities of the Chapter and National ATD so as to better fulfill the duties of President the following year. Answers questions for the paid Administrative Assistant and helps with problem resolution. Maintains Chapter records in Operational Manual. Stays in contact with the National ATD organization by linking with the Regional ATD Manager and researches questions on Chapters Leaders' Board outline. 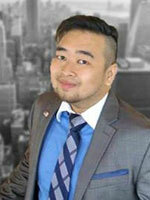 Larry is a native of Sarawak, Malaysia and has lived in the United States for 5 years. At The Hershey Company, Larry is responsible for conceptualizing and developing interactive learning solutions, including eLearning, instructor-led training, and blended solutions that support the successful implementation of informational systems in a corporate and global environment. As an active member of National ATD, his passions and interests include technology in training, learning management systems, training assessments, mentoring, and partnership with the community. Larry holds a bachelor's degree in Human Resource Development and a Master of Education in Training and Development from Penn State University. 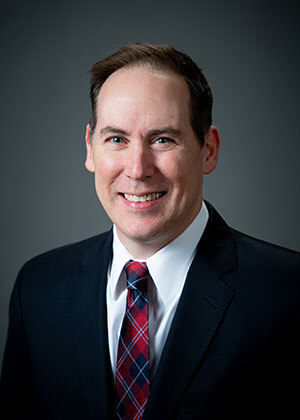 He is recently a published co-author in the book called Cultivating Diverse Online Classrooms Through Effective Instructional Design, contributing the chapter, Implementing eLearning in a Global Organization: Pitfalls, Successes, and Considerations. Larry enjoys meeting people and traveling to places near and far. In his free time, he enjoys singing with his barbershop chorus (The Keystone Capital Chorus), cycling, and exploring the United States – 25 States and counting! Position Summary: The Vice President of Programs, an elected position and voting member of the Board, is responsible for providing guidance and resources to ensure that the Chapter's program goals and obligations are fulfilled. This primarily involves assembling a Program Committee for the purpose of developing and scheduling of programs that will meet the developmental needs of the membership. Develops and leads a Program Committee that selects speakers for Chapter programs and handles the setup and delivery of the programs to the membership. Coordinates the selection of speakers, informs the speakers of timing details, informs the membership of the program, and handles registration at the door to collect funds and track attendance. Attends Board meetings and as many Chapter activities as possible. Determines program location and agenda and distributes evaluation. Works with the President and President-Elect to arrange yearly budget in regard to Programs. Determine appropriate recognition for program speaker(s). Gina Sweeney is the Leadership Development Trainer at Listrak - one of Lancaster’s best-kept tech secrets. With over 20 years of training, facilitation, coaching, leadership, and employee development, Gina manages organization-wide initiatives ranging from employee onboarding to executive-level development. Prior to Listrak, Gina worked at Auntie Anne’s Inc. for 9 years, where she led Learning and Development programs which supported 100 corporate employees and 1500 domestic store locations. Gina’s most memorable accomplishments at Auntie Anne’s are: launching a corporate university for all employees, delivering leadership and culture training to all new franchisees, and delivering regional training to store managers across the country. Gina is an active member of National ATD. She holds a Bachelor of Science, Organizational Behavior/Applied Psychology from Albright College, and is currently pursuing her Master of Science, Organizational Development and Leadership from Saint Joseph’s University with an anticipated graduation of May 2019. Position Summary: The Vice President of Membership is an elected position and voting member of the Board. The VP Membership is responsible for the oversight of membership activities, providing guidance and resources to ensure the Chapter's membership goals and obligations are met and related activities. This includes new member orientation, oversight of member records, communication to the Board regarding membership activities or issues and related interaction with chapter members and National ATD. Attends Chapter Board meetings and chapter events and functions. Conducts and oversees new member recruitment, orientation and retention activities. Reviews and updates member correspondence. Supports the Chapter Administrative Assistant to ensure membership database and reports are updated including new member reports, renewals, and non-renewals. Develops strategies around retention and non-renewal. Promotes the chapter website, activities, events and related opportunities to members. Alixandra (Ali) is a Marketing Strategy Specialist at Penn State Harrisburg in Middletown, PA. Ali manages the advertising for the college and serves as a project manager. Known as the "Queen of Customer Service," Ali works as a liaison between the client and the internal team on campus. 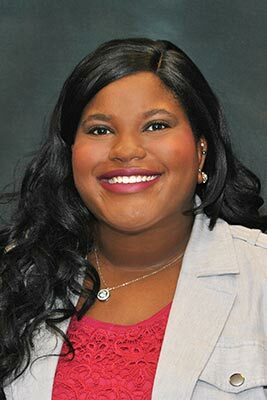 She also assists with web-related needs in the content management system; supervises special events on campus; manages the budget within the Office of Marketing and Communications; and coordinates marketing-focused training for staff and faculty. In 2016, Ali worked with the chapter's Membership Task Force as part of an internship experience. She developed, designed, and executed an online new member orientation program, which received a Share our Success award for the chapter, and a college award from her master's program. Prior to joining Penn State Harrisburg, she worked for Hershey Entertainment and Resorts for eight years. Ali is a new member of National ATD. She holds a bachelor's degree in Advertising from Penn State in 2012 and received a master's degree in Training and Development from Penn State Harrisburg in 2017. Position Summary: The Vice President of Marketing and Public Relations is an elected officer of the Chapter. This position oversees activities related to the marketing of chapter initiatives. In addition, this position oversees activities related to communication among the Chapter members at large, and communication with the community and other professional associations. Internal chapter communications: newsletter, event emails, meeting announcements, updates, etc. Development of marketing communications: brocures, infographics, etc. The Vice President of Marketing & Public Relations supports the President, interacting with the Board and other members of the leadership team. Ensures a communication piece is sent to members at least once each quarter. Ensures that the Chapter adheres to ATD identity guidelines. Develops goals for maintaining and improving internal Chapter communications. Supports a project plan to create a Business Community Outreach Program. Manages Chapter publicity and media relations. Oversees website development activities and newsletter production. Serves as a communications advisor to the leadership team. As the Vice President of Finance, Adam blends his love for learning, data and strategy to ensure that our chapter provides the best learning opportunities with your membership dues and event registration dollars. Adam has been in the talent and organizational development field for almost two decades in various industries. He is currently the Talent Development Manager for RKL LLP, a professional services firm, based in Lancaster, PA.
Adam is also a member of National ATD. He holds a bachelor’s degree in history education from Shippensburg University and is currently working towards his master’s degree in Training & Development at Penn State University. Position Summary: The Vice President of Finance, an elected and non-voting member of the Board, is responsible for keeping the financial records of the Chapter, setting up a bank account, directing income into appropriate accounts and paying bills within 30 days of receipt. The VP of Finance provides guidance and information for the Chapter in the areas of financial procedure development, cash flow, and investment planning. Ensures incoming funds are deposited into appropriate Chapter accounts in a timely manner. Pays authorized bills in a timely manner. Maintains accurate and detailed records of revenues and expenses. Helps educate other Board members regarding financial obligations and procedures. Prepares special reports as requested by the Board and/or Chapter President. Ensures that the Chapter is in compliance with required federal and state financial reporting requirements. Prepares and files annual IRS returns as needed. Files any required employer forms for paid staff. Provides copies of expense sheets for Board and Chapter member use. Prepares the books for the annual internal and the biannual external reviewers.